Owning a top-of-the-line, feature loaded smartphone is now easy and hassle-free, thanks to MoneyTap's mobile loan with easy EMIs. You can now buy a smartphone on EMI without a credit card with MoneyTap's mobile loan instantly. Repay flexible EMI’s while choosing a convenient payment period - 2 to 36 months! How to Buy a Mobile on EMI Without Credit Card? When you think about buying something on EMI, the first option that comes to mind is a credit card. However, not everyone has access to credit cards. Luckily, there are numerous other financial products available these days for purchasing a mobile on EMI. You can get a personal loan through a bank, financial institution or even an app on your phone, and use this to buy a new mobile of your choice. With app-based loans through MoneyTap, you can be approved for a personal line of credit that’s both flexible and convenient. You can use this credit line for large purchases such as mobiles, and convert your purchase amount to EMIs of your choice right through the app. You also get a credit card with your loan approval for both online and offline purchases! Some banks and non-banking financial companies or NBFCs offer a product known as an EMI card. Essentially, these are quite similar to traditional credit options, where interest is charged on the principal loan amount and repayments are spread out over a certain period of time. With some EMI cards, you may not be charged interest on the principal, but there will still be a processing fee. You need to make monthly payments within a certain timeframe, until the loan amount is repaid in full. Most people believe that only a credit card allows for EMIs, not a debit card. In fact, it is possible to convert a large spend on your debit card into easy EMIs through certain platforms. Some fintech companies offer this service, but only before you have made a purchase. Here’s how it works. Instead of paying a merchant through your debit card, the company offering this service makes the payment for you. In return, you need to make the down payment and EMI payments to them. An EMI calculator for mobile loan allows you to try out various combinations of the loan amount, interest rate and loan tenure to help you to know the actual EMI amount you will pay for these various combinations and decide on the combination that works best for you. My old phone recently broke, so I needed a new phone. I wasn't interested in taking it on EMI as I'm going to get my office bonus in May. So, I opted to buy it with cash from MoneyTap. Even though I was getting attractive EMI schemes, I really didn’t want to pay extra for something I'm likely to change in a year or so. Once I get my bonus next month, I'll repay the cash with zero hassles. With the connected lives we lead today, mobile phones have become more of a necessity. 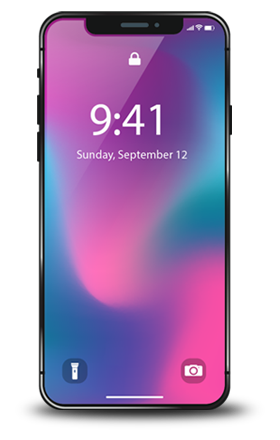 Right from basic uses to more advanced features like GPS navigation, high-resolution cameras, and advanced processors; mobiles phones have become an integral part of our daily life and they often come with a hefty price tag. This is where you can let MoneTap make life easier for you with its line of credit that can be used for a personal loan. Why Use MoneyTap’s Line of Credit to buy mobile on EMI? An affordable option as a phone loan that will meet your needs without burning a hole in your pocket. Higher chance of getting approved for a higher amount as a credit line for added expenses. Lets you save on interest rates and allows you to repay on your own terms. Choice of withdrawing as per your needs or swiping as a credit card. Freedom to pay interest on the amount used and not the entire amount approved. How can I buy a mobile on EMI? Is buying a smartphone on EMI a good option? Cell phones are sold under attractive EMI schemes which makes buying a smartphone on EMI a good option. Some phone vendors, online stores and financial service providers also offer no-cost EMIs. Check for, and compare interest rates before buying a smartphone on EMI. Getting a mobile loan to pay in cash and later making payments in easy EMIs is also a good option to consider. Can I get an instant mobile loan from MoneyTap? Yes, MoneyTap's credit line allows you to get instant funds to use as a mobile loan to buy a smartphone without the hassles of documentation with a quick and easy approval process. How can I use MoneyTap's personal loan as a quick mobile loan with easy EMIs? When you want to buy a mobile on EMI, MoneyTap’s line of credit works like a mobile phone loan while being more convenient than traditional mobile loans. MoneyTap approves a credit line in the range of ₹ 35,000 to ₹ 5 lakh. You can withdraw as little as ₹ 3,000 or up to your approved credit limit. Once you borrow money as a mobile loan, the interest starts to accrue only on the amount used. And you can choose a repayment period of 2 to 36 months. If you want to calculate your monthly EMIs, use our EMI calculator.